Symphony Fintech Solutions Pvt Ltd, a provider of Automated Trading Systems, today announced collaboration with PhillipCapital India. Symphony will develop an interface with PhillipCapital’s in-house OMS. This combined offering will enable PhillipCapital’s Active Traders to develop, test and deploy their algos seamlessly. This combined offering addresses a common problem that Active Traders face in India to automate their algos. 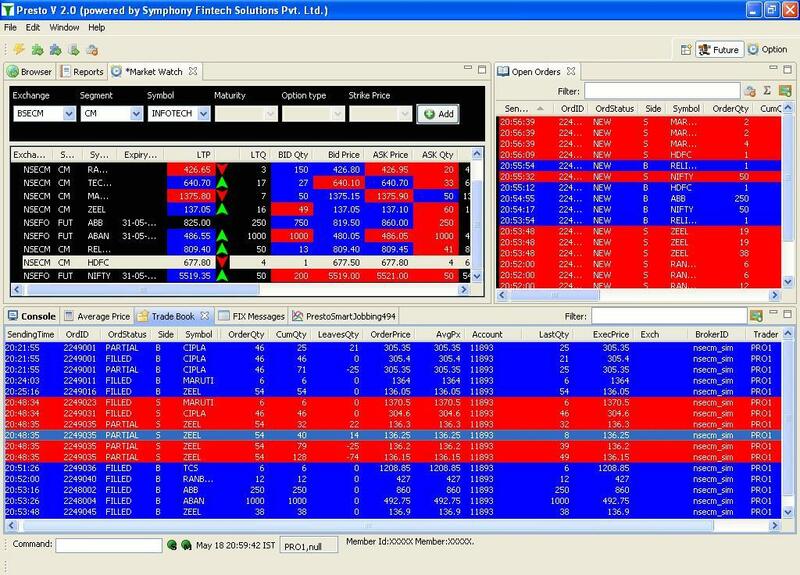 Symphony’s Presto platform can be used to develop ‘Trading Strategies’ based on fundamental/technical indicators with Live (Intra-day) or historical-data. One can back-test the strategies after they are developed and paper-trade the strategies and then, deploy the strategies ‘live’ at PhillipCapital. “Symphony Fintech’s turnkey solution allows PhillipCapital India to offer value-added services to its clients,” said Mr. Kalpesh Vora, VP Retail, PhillipCapital (India) Pvt Ltd. “Symphony’s algo platform will be integrated into our back-end – a single platform for multiple exchanges: BSE & NSE (Cash & F&O), MCX-SX”. With more than 3500 employees globally, PhillipCapital manages worldwide assets under management total to more than USD 22 Billion with shareholders’ funds in excess of USD 1 Billion. PhillipCapital operates in the financial hubs of 16 countries across the globe.